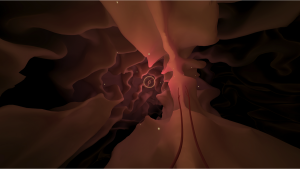 Rebecca Allen’s latest virtual reality work, The Tangle of Mind and Matter, is inspired by the centuries-old, philosophical conundrum concerning the relationship between mind and matter. 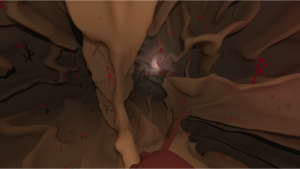 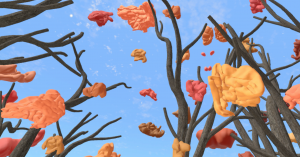 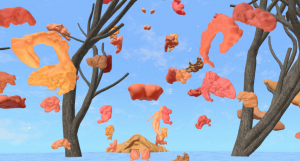 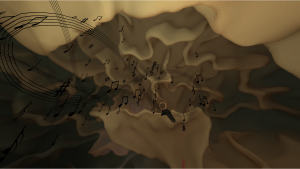 As the subject involves both philosophy and neuroscience, the artist has utilised the realm of virtual reality to explore her understanding of reality and self. 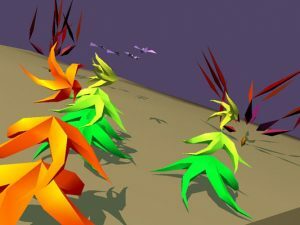 Her work is presented in a poetic representation, and the title draws from a song lyric by the famed poet and musician Leonard Cohen.